Chief Minister N. Biren Singh defensive statement against the uproar of major civil society bodies and students’ communities particularly those at the Manipur University shows sign of extreme desperateness. Instead of looking into the root of how and what makes the ongoing impasse going out of hand with people from across the state supporting the cause , the statement of the CM seems rather a threat intimidation to those raising voice for justice. Earlier attempt to blame the agitation against AP Pandey as racial factor has been proof wrong as the agitation still continue when a native (Prof. Yugindro) was sent to take charge as VC in the absence of a regular VC. This is an agitation against injustice. 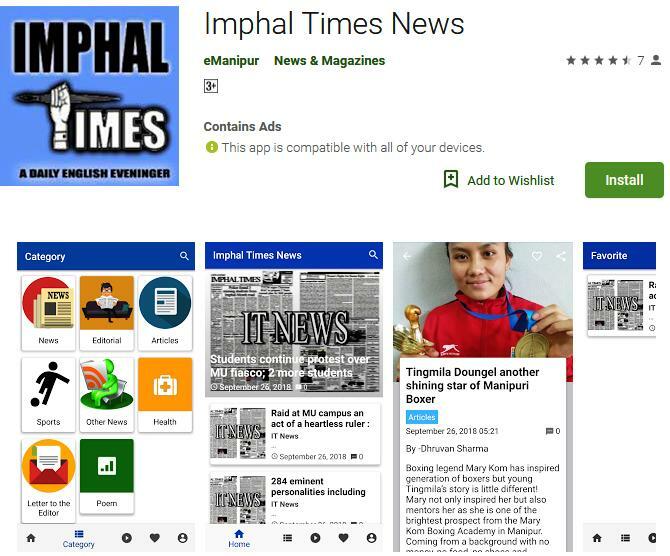 Saying so Imphal Times stands against violation of rights by either those supporting the bandh or by those standing against the bandh. In his facebook post Prof. Bimol Akoijam categorically stated that the statement of Chief Minister N. Biren Singh is not without element of truth or facts of the issues which have been troubling the state for 5 months now. In his emotional speech, Chief Minister N. Biren Singh stated that if the people of the state see the letter written to him from the MHRD in the aftermath of August 7 incident at which a quarter was set ablaze inside the Manipur University campus, then the people will know how tolerate is the government of Manipur. He also stated how the Central Government had given pressure to his government to act by even saying that if your government could not do anything they might send central force inside the campus. This statement is rather a threat intimidation to the people which lacks diplomatic sense of how peoples’ issues should be handled. Regarding the CM’s justification on Sept 20 midnight crackdown at Manipur University Prof. Akoijam wrote, “it must be noted that these issues cannot be ground to justify the unfortunate and unacceptable armed police raid at MU, and the undesirable and avoidable violence perpetrated on students at night, that too, at a time when they are going through examinations. The Chief Minister’s statement which is being forecasted at different channels of electronic media fails to address any amicable solution to the problem. The speech, he made in media shows the delinquency of the government machineries as he keeps justifying that the Sept. 21 crackdown at MU campus is a right move. To be frank all those arrested faculties members are not criminal they are available anytime and were serving as professors in the University. “Even if Government was to assume that there are “terrorists” inside the campus (going by the convenient insinuation of MU as a “den of insurgents” by the discredited/incumbent VC), the govt must show the sensibility which were reflected at the time of “Operation Blue Star”... Quite obviously, situation at MU as a “temple of learning” is not the same as the 1984 situation of Golden Temple to justify such assault on the sanctity of MU as an institution of higher learning”, Prof. Bimol stated in his facebook post. Imphal Times stands with the scholars which said that MHRD is responsible for the whole fiasco. Its contempt for the people and their political leadership of the state in this whole fiasco must be put upfront rather than indulging in despicable show of squabbling amongst the “minais” as a spectacle. While reaching out to the people particularly to the MU community the Chief Minister should admit the mistake and expressed regret for the September 21 midnight raid by armed Police inside the MU complex instead of trying to justify it. Imphal times agreed with Prof. Akoijam Bimol when he wrote that, “It should also immediately take up concrete steps to release the students and teachers who are being detained’ but this paper assumed prof. Akoijam being misleaded when he wrote about a public apology by members of MU regarding the alleged criminal intimidation perpetrated on the “Pro-VC”. The video showed angry students and teachers with no deadly weapons as alleged. Remember voice of ‘dissents’ – a must for success of democracy. Imphal Times didn’t say this, but it was the Supreme Court that says. The language used on the day when alleged Pro_VC entered the MU campus was nothing but the anger of the community. There was no report of any violence except throwing of an egg. Regarding the appointment of the PRO VC , it is the state government that should go the court as it sparks protest disturbing the state’s law and order situation and not the MU community.